It is not very likely concrete political steps will be taken in the peace process between the PKK and the government in the months to come. That has everything to do with the local (Spring 2014) and presidential elections (Autumn 2014) coming up. However frustrating that is for Kurds, who are longing for peace and constitutional rights, you could consider it part of the political game. Relatively fast peace processes, like in South Africa, are inspiring, but also exceptional. But a peace process doesn’t only contain political steps. Crucial for it to succeed are serious efforts to restore trust. The government is doing exactly the opposite. Turkey has changed tremendously in recent years when it comes to the Kurdish issue. Ten, fifteen years ago, Kurds were officially nonexistent, and the language was almost totally banned. In the nineties Kurdish villages were evacuated and burned, thousands of people ‘disappeared’, many were murdered, including civilians. The very existence of a Kurdish issue was denied. And now, the state is openly talking to state enemy number one and it is recognized that the Kurdish issue exists. That’s progress. Many people also see for example the Kurdish language state TV channel TRT6 as progress, and the lessons in their mother tongue that children can enrol for in state schools starting from age eleven. I don’t. A Kurdish language state channel means nothing if the channels that Kurds actually do watch are still officially banned. And isn’t it cynical that Kurdish kids often know better Kurdish than Turkish when they start school, that speaking Kurdish is forbidden as soon as they enter first grade and Turkish is forced upon them, and then they can choose a few hours a week of an elective course in their mother tongue when they are eleven, but are still not allowed to speak Kurdish at school outside those hours? The biggest effect of such measures has been that the international communitywas deceived into thinking Kurds are actually getting their fundamental rights. 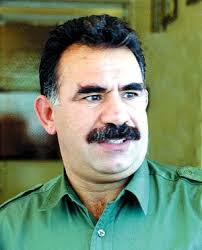 Kurds logically demand not sops, but real change. Education in the mother tongue, a liberal constitution, a fair election system, regional autonomy. This requires fundamental changes in the state system. The AKP and its Prime Minister Erdogan are powerful enough in parliament to push such changes through in cooperation with the political representatives of the Kurds and by continuing talks with Öcalan, but the AKP also has a voter base to consider. Whether you like it or not, making these changes quickly might displease the nationalist-religious supporters of Erdogan so much that he could lose votes. No one can blame a politician for taking that into consideration. It is just logical that the Kurds expect and demand steps now as part of the deal in which the PKK is withdrawing from Turkey and respecting a cease fire. Their demands are justified and democratic, and hey, the BDP has an election campaign coming up too. It may be a set-back now when no concrete steps are being made quickly, but the progress that has been made, can’t be turned back and will be built upon further, now or in the hopefully near future. It would be wise, though, for the government in the meantime to make every possible effort to start restoring the Kurds’ trust in the state, currently close to nonexistent. It is an essential part of every peace process. That effort is not being made, not even on the most basic level. The most recent example is a march in Diyarbakir last Sunday, in which the Kurdish political movement demanded concrete steps from the government with the slogan ‘Hükümet adim at’, or ‘Government, take a step’. It started at the head office of pro-Kurdish party BDP, and stopped just around the corner. The police blocked the road. A wounded man (probably with a broken arm or shoulder) is carried to an ambulance in a blanket. 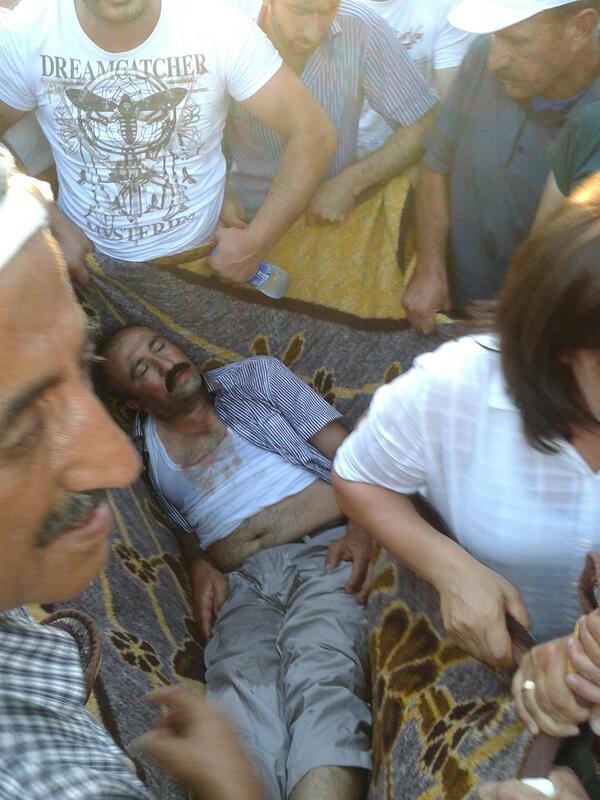 Diyarbakir, 30 June 2013. Pic by me, click to enlarge. Some twenty minutes later, the police started using teargas and water cannons to disperse the peaceful protesters. At least four people were wounded. Before that violence started I listened to negotiations between Zübeyde Zümrüt, the co-chair of the local BDP branch, and a policeman in civilian clothes. The main problems were that the march was blocking the road, and that many people were waving flags of the PKK and of its leader Öcalan. Yes, the protestors were blocking the road. That’s what happens when you hold a march. If the police had let the people march, the street would soon have been clear again – how long does it take to let some three thousand people pass? And yes, there were flags, many of them. The police sometimes consider that illegal, but since the peace process started at the beginning of the year on several occasions that has not been seen as a reason to take action. Remember the enormous gathering in Diyarbakir for the funeral of the three Kurdish women who were murdered in Paris last January? Wow, were these people blocking the roads and waving Öcalan flags! Or the celebrations for the birthday of Öcalan in the town of Halfeti, at the beginning of April, check my photo reportage here on Facebook: it felt as if free Kurdistan was already there. The crescendo of flag waving was reached at Newroz, 21 March, where Öcalan’s call for a ceasefire was read to an audience of a million peopl. On all these occasions, the police butted out and – important note – there was no trouble whatsoever. Why on earth is the government now changing the rules again? They would not lose a single vote if they allowed the Kurds to march as they please. With Erdogan’s grip on the media, his voter base would not even find out about Kurdish marches anyway. And if the police keep their distance, there will be no violence. Yes, there were firecrackers and stones thrown at the demo on Sunday, but that started after the police announced that they would start using tear gas and water cannons within ten minutes if the crowd didn’t disperse. It was not the firecrackers and stones that were the reason for taking action; the march itself and the flags were, and the violence of the protestors was the result. This doesn’t enhance trust in the government when they say they are serious about the peace process. And there are more examples of this since the process started some six months ago. The building and renewing of police stations (normal ones, and high security ones with extra features to resist PKK attacks) all around the southeast is one of them. 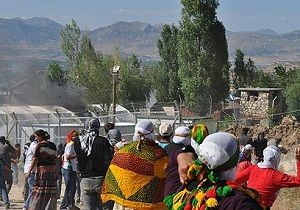 For months now, Kurdish civilians have been resisting these construction activities. They find it illogical that a state that claims to want peace strengthens its armed forces in the region – and they are right. It’s not only the construction works themselves that raise tensions, but also the way the police handle the resistance against it. Trouble in Lice district because of construction of police station, 28 June 2013. On Friday, in the district of Lice in Diyarbakir province, a young Kurd was killed by a police bullet while protesting the construction works. Never mind the stones being thrown, never mind any other dynamics that might exist in the Lice district, the tension wouldn’t have been there if the police stations weren’t built. And Lice is not the only town where people resist new police stations, only in the main stream media you don’t hear about it when nobody dies. It’s a legitimate question to ask why on earth the government decided to carry out these works at this particular time. Could there have been a worse moment? And also in this case: the AKP would not lose a vote if they didn’t build and renew police stations in the southeast right now. Same goes for the extension of the village guard system. New village guards – villagers that are armed and paid by the state to assist in the fight against the PKK – are being recruited all over the southeast. Why now? What is the point of raising tensions in villages by recruiting new guards, and luring people into the system by offering them more state benefits than before, misusing the poverty that the state and the war have created? And again: the AKP would lose no votes if they didn’t hire new guards. It’s not completely illogical that the government is not pushing through fundamental political change in the months leading up to important elections – although this is Turkey, and you never know what’s going on behind the curtains. But there is no reason whatsoever to undermine the peace process in the way it’s being done now. I have been trying to figure out what the aim of this undermining is, but I haven’t been successful. The only reason could be that Erdogan is not genuine in his wish for peace, tries to provoke Kurds and blame them for the total derailing of the peace process. But what would be the point of that? More blood flowing before the elections is sure not going to help him. Could it be, another voice in my head said, that what the police and especially the army does in the southeast is not entirely up to Erdogan? That they are mapping out their own strategies concerning police stations and village guards, and that Erdogan isn’t sufficiently involved, informed or in control? I don’t know. Any suggestions are welcome in the comment field. The government should immediately take action to prevent further damage to the peace process. Stop violence against peaceful protestors, stop the building and renewing of police stations, stop recruiting village guards. 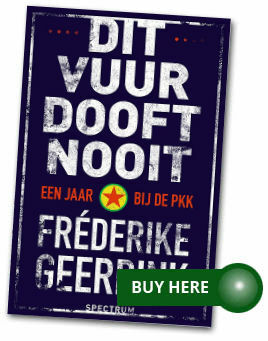 It doesn’t cost votes, and may lead to Kurds being less sceptical of the government and the state. Which is essential for the peace process to succeed once the time is again ripe for more fundamental political change. That time has to come. The peace process must continue. There is no other way.